Open dishwasher with clean utensils in it. 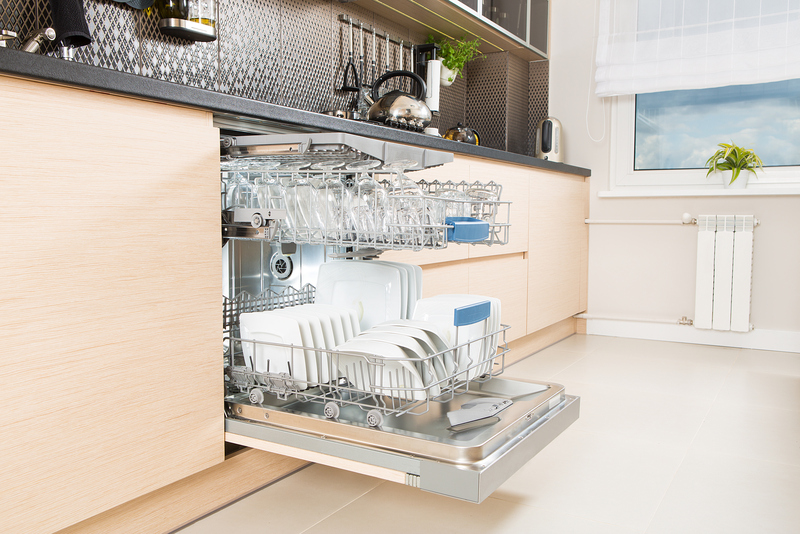 Your dishwasher is an incredible device for saving time in your home and gives you the opportunity to do other things around the house that are certainly more enjoyable than washing dishes! In return, you should aim to keep your dishwasher in the best possible condition, which may involve changing the way you load your appliance. This will not only help prevent a breakdown but will also ensure that you’re getting the maximum number of items in there, without affecting cleaning performance. 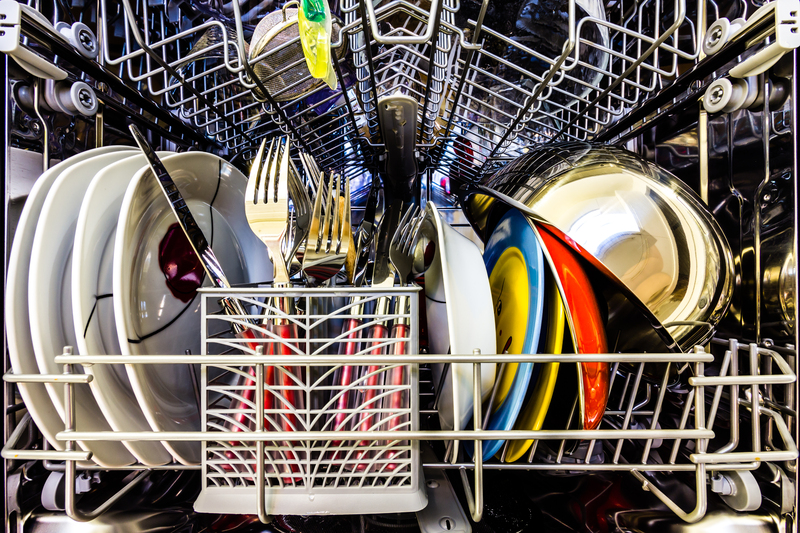 When your dishwasher finishes the cleaning cycle and you open it to find your plates are still dirty, it can be frustrating, and most are quick to assume that it must be a faulty heater or drying element. This may lead you to think that you may need to acquire the services of a dishwasher repair expert, however, this isn’t always the case. 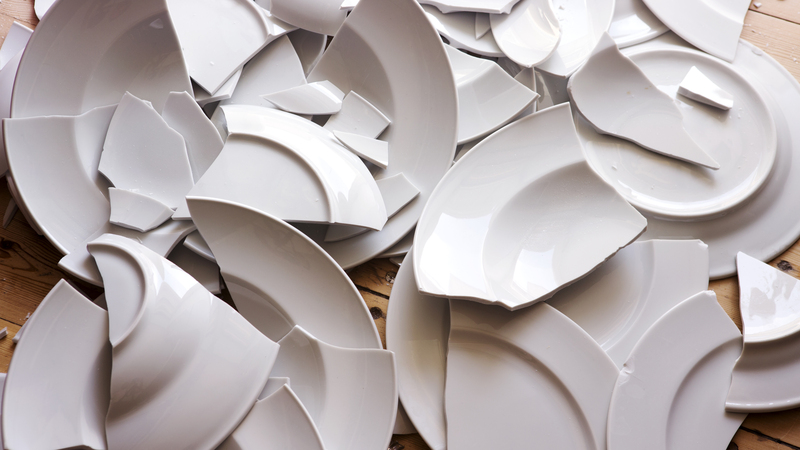 Try loading your dishes correctly before calling for help, to see if this solves your problem. When you put items onto the dishwasher trays, ensure that you lay them down at an angle. Doing this is especially important with dishes that are curved, such as bowls and cups, as it allows water and detergent to enter the cavity of the dishes. This then gives them the ability to be cleaned thoroughly of all dirt and bacteria and will prevent them from still being dirty when you remove them. Your dishwasher trays will come with embedded separators. Placing your items in-between these separators will ensure that they remain secure during the wash, stopping them from crashing together and breaking. Using these separators will also allow water and soap to reach fully into your dishes, meaning that they are properly cleaned. Place one item in-between each separator and avoid any overlapping, as this can also prevent sufficient water and soap reaching your dishes. Keeping a small gap between your dishes will also allow them to dry quicker, and mean they are not wet when you next go to use them. As the handles of your knives, forks and spoons are usually the least dirty bits, so they need less exposure to water and soap. Placing your cutlery with the handle facing down means that the dirtiest parts can be cleaned properly and will avoid bits of food still being stuck to them when you take them out. When loading your dishwasher plastic items, such as tupperware, should be placed on the top shelf. Dishwasher heating elements typically face towards the base of the unit, and therefore this is the hottest section of the appliance. Putting your plastics on the top will lower the chances of them melting and leaking chemicals onto your other dishes. Don’t place items inside your dishwasher in any old order. Start by placing the larger items towards the back and outside of the holding compartments. Items such as pans, large bowls and plates will need to be placed strategically to obtain maximum cleaning, as this will avoid them blocking water and soap from reaching the other items. If you’ve done all the above and notice your dishwasher still isn’t cleaning all your dishes properly, refer to our other dishwasher repair guides or contact one of our domestic appliance repair specialists.